Open House for ETSU is Saturday, March 30, 2019! The Criminal Justice Standards Division is offering a 100% forgivable loan to go to any North Carolina community College to acquire an Associate in applied Sciences degree for criminal justice.. The loan will be forgiven upon 4 years of working in an eligible profession and county. UNC- Charlotte offers programs that include Acting and Stagecraft, Aspire ! , Chess for Experts, Cool School Writing, Engineering Lab and Technology, MathCAMMP + Mathematically Wild and Writing Spooky Stories! UNC-Asheville offers a variety of programs in academic and cultural enrichment, as well as sports camps. NC State university offers 23 summer camp programs including such varied experiences as Nuclear Engineering, VetCAMP, and NC Youth Institute. Check out their website at https://emas.ncsu.edu/preccollege/programs/high-school-students. Earn college credit alongside academically motivated students from around the world in Duke University’s Summer College for High School Students. Students in grades 10-12 are eligible to apply. This is a 4 week credit-bearing program. Find further information and apply at learnmore.duke.edu. Exciting news about the North Carolina State Employee Credit Union Scholarship ( People Helping People) opportunity for 2019 Graduates!! 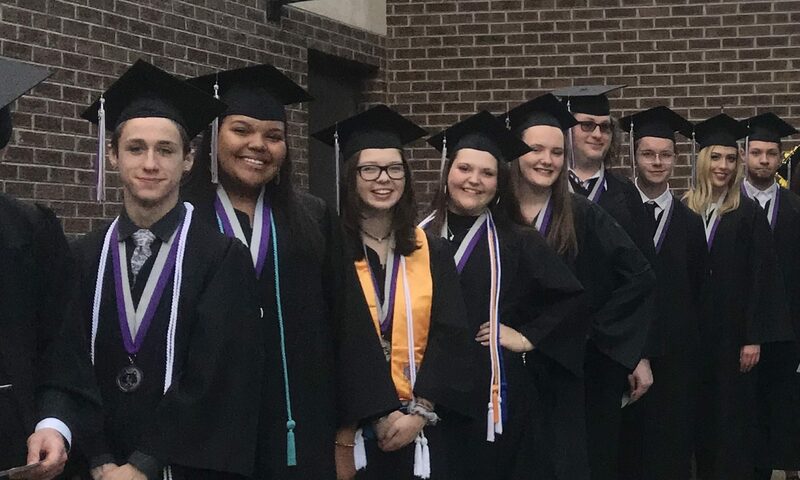 Graduating seniors from a NC public high school who are either an SECU member or are eligible for membership through a parent /guardian who is a current SECU member and meet the eligibility criteria are considered for the SECU Foundation scholarship! Students attending private schools, being home schooled, going to out-of-state universities or residing out -of- state are not eligible. Also, students demonstrates scholastic achievement with a maintained 2.5 or higher unweighed grade point average on a 4.0 scale. Check out their website at secufoundation@ncsecu.org for more details. See or call Ms. Denton at HEC at 565-4000 or email me at jdenton@haywood.k12.nc.us. It is a short application and I will help you!.